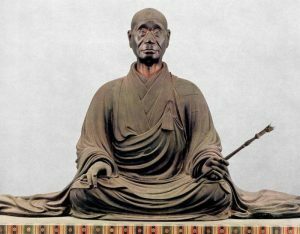 Although Japanese monks are renowned for their disregard for the precepts and monastic discipline, serious monks were concerned with whether they actually were proper Buddhists or not. Professor Groner uses a set of fragments from Eison’s 叡尊 (1201-1290) to explore how serious monks strove to revive the precepts and ordinations. By delving into the background of some of the fragments of the lectures, he highlights some surprising aspects of the movement. Paul Groner received his Ph.D. in Buddhist Studies from Yale and taught at the University of Virginia. His research focused on the Japanese Tendai School during the Heian period and the precepts and ordinations, which led to research on Eison, founder of the Shingon Ritsu sect, and the status of nuns in medieval Japan. In recent years, his interests have extended to the Tendai educational system during the Muromachi Period and to the establishment of Japan’s first public library at the Tendai temple, Kan’eiji. His publications consist of Saichō: The Establishment of the Japanese Tendai School and Ryōgen and Mount Hiei: Japanese Tendai in the Tenth Century and approximately fifty papers.